Best NOMOS provides a comprehensive list of products that allow clinicians to accurately plan and deliver radiation treatments. Our advanced technologies, coupled with our comprehensive customer training and support programs, ensure that you can offer treatment with complete confidence. 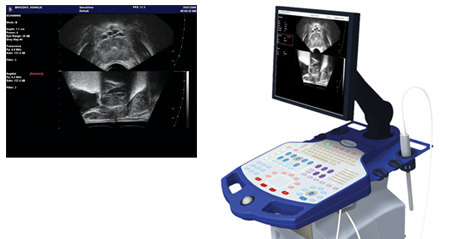 The BEST SONALIS™ Ultrasound Imaging System provides superior visualization of HDR, LDR, RF and Cryosurgical procedures. Our patented SimulView™ Technology provides simultaneous "live" views of the prostate in both planes, thereby increasing treatment accuracy and precision. CORVUS® is an inverse treatment planning system that optimizes a delivery plan of thousands of pencil beams of radiation to meet your prescription dose goals and constraints. The only treatment plan with Active Rx™, CORVUS® provides the ability to manipulate isodose lines after plan calculation to improve the plan with immediate, graphical feedback. It also enhances productivity by eliminating the iterative trial and error process of generating the perfect treatment plan. 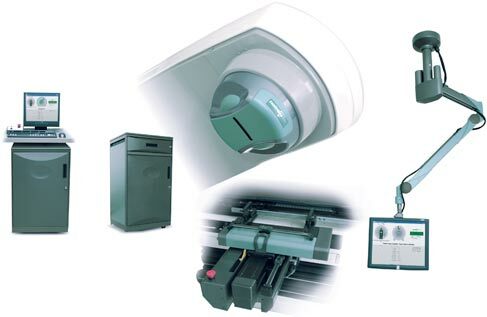 Increase accuracy and save time with CORVUS®. ActiveRx™ lets you "draw" isodose lines directly on CT scans, interactively "push" dose out of sensitive structures, and "click and drag" to adjust dose planning volumes. 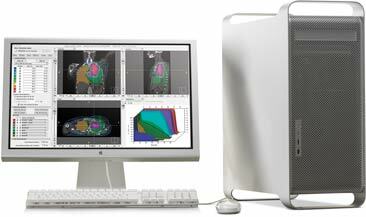 Even for complex IMRT treatments, where thousands of beams are used, ActiveRx™ produces results in seconds. This allows clinicians to quickly understand the subtle interplays of competing goals and move directly to the point of best balance for their patients. The new BATCAM™ Multi-Probe increases functionality of the Best™ NOMOS® ultrasound image guidance system with the addition of a Bi-planar Rectal Probe and Small Parts Probe. Increased applications for the BATCAM™ Multi-Probe include enhanced imaging for lumpectomy cavities, prostate brachytherapy and prostate volume studies, 3D Structure Set Display and Color Doppler for liver and pancreas alignments. nomosSTAT™ serial tomotherapy delivery technology fires pencil beams from a continuous 340° arc around the patient, creating a highly conformal dose distribution. Treatments delivered with nomosSTAT™ provide better critical structure avoidance than other IMRT techniques without compromising the dose to the target. These capabilities can be added to your linear accelerator while maintaining the ability to deliver conventional treatments. For multi-fraction radiosurgery of intracranial targets, the TALON System provides 1mm positioning accuracy and repeatability. TALON includes titanium screws, adjustment tools and a patented, detachable TALON assembly for patient positioning on imaging and treatment tables. After administration of a local anesthetic, two self-tapping titanium screws are inserted into the patient’s skull – a 20-minute process that can take place in the operating room or in an outpatient surgical suite. The target box ensures accurate patient set-up by providing laser alignment, light-field alignment and radiopaque fiducial markers for film verification. The TALON assembly can be removed and reattached without loss of localization accuracy. For patients receiving fractionated treatments, the assembly is removed after each stereotactic treatment.